It may be the smallest wine region in Croatia, but in many ways it’s the most ground-breaking and compelling. Plešivica is a green, hilly region some 30km southwest from Zagreb. It’s often overlooked when compared to better known and more attractive regions like Istria and Dalmatia, primarily known as Croatia’s main tourist destinations. Even the locals tend to neglect it, maybe because it’s so small and close to the capital, making it not exotic enough. But Plešivica has definitely been the rising star on Croatian wine scene, boasting labels regularly now found on national lists of best wines. I wouldn’t even call it a dark horse anymore, but a safe bet. Yet, it still needs to present itself to the global wine audience. 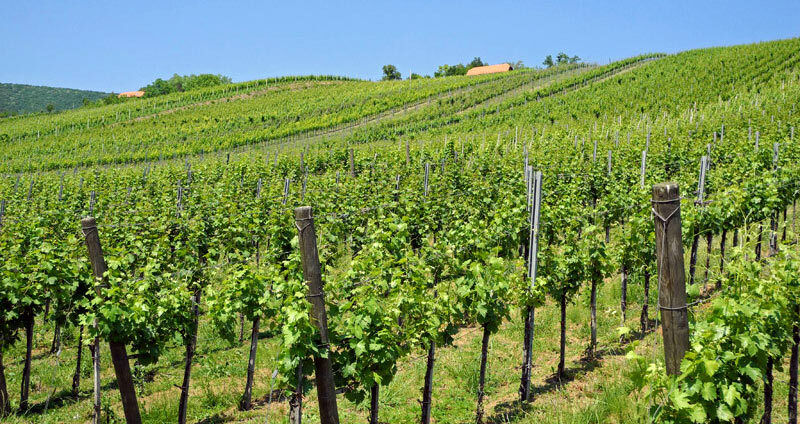 Like all of central Croatia, Plešivica has continental climate, but due to its favorable position, it gets up to 2,000 hours of sunshine a year. Speaking in numbers, the average altitude is 250m, the average annual temperature is 11C, and there are 2,300ha of vineyards. They are planted on the southern slopes of Plešivica Mountain, protected from the cold winds. At first glance, all you see are tiny scattered patches, because traditionally all these vineyards stem from family-owned plots. Since almost all the vineyards are found on steep slopes (up to 60 degrees), all the work is done manually. The tradition of winemaking in this area is very old, supposedly going back to the old Thracian and Illyrian tribes, who were here way before the Romans or the Slavs. The oldest written record of the production of wines in Plešivica dates from 1370. However, in socialism small-scale private producers were not allowed to sell wine commercially, since the only players were big state-owned cooperatives focusing on quantity rather than quality. Plešivica’s wine renaissance as we know it today started in the 1990s, when several family-owned wineries launched their first labels. Almost all other Croatian wine regions revolve around some kind of a trademark native grape, which Plešivica lacks (apart from the seasonal red Portugizec or Blauer Portugieser), but it makes that up with an impressive array of international varietals that thrive here: Chardonnay, Riesling, Sauvignon Blanc, Graševina (Welschriesling), Pinot Blanc, Pinot Gris, Müller-Thurgau, Gewürztraminer, Moscato Giallo, and Pinot Noir. Cooler climate, carbonate soil similar to Champagne and the abundance of grapes with higher acidity mean ideal conditions for making sparkling wines. Plešivica is the pioneer in this department, and the most ambitious and reliable Croatian producer of sparkling wines. Local winemakers are also successful in experiments like making wine in clay amphorae or producing high-quality orange wines. Big names like Tomac, Šember and Korak paved the way for the others, and they are still the main and best-known producers. 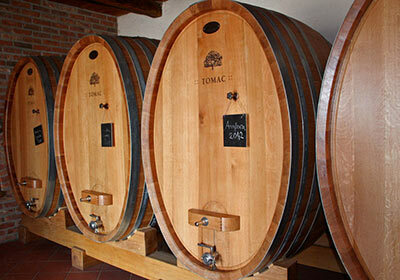 Tomac winery has become the benchmark for Croatian sparkling wines made using the traditional Champagne method. Tomislav Tomac is also the first winemaker in the world who produced a sparkling wine in amphora, from 50% Chardonnay and a mixture of forgotten local grape varieties. The maceration was done underground for six months, and then the wine was moved to big wooden barrels for a year and a half of aging. With a unique taste and beautiful orange color, it’s the ultimate geek wine. The Šembers are a modest but very ambitious winemaking family and are synonymous for macerated whites, like Riesling and Pinot Blanc, but their Pinot Noir is quite impressive as well. Still, Šember’s best seller is probably the Rosé sparkling wine. Velimir Korak is a lo-fi, hard-working winemaker known for constantly high quality of his Riesling, Pinot Gris, Chardonnay and especially Pinot Noir. Korak’s Chardonnay Sur lie has often been named one of the best whites in Croatia, and he also has a very interesting Rosé made from 100% Syrah. Korak’s eagerly anticipated first batch of sparkling wine is still aging. Apart from the Big Three, some others are slowly starting to keep pace, and there’s also a shift of generations taking place, for the better. Young winemaker Krešo Ivančić is bringing an entirely different approach, using the modern technology and cold maceration to preserve the aromas and freshness in his Chardonnay and Müller-Thurgau. Sparkling wines are his obsession, again quite different from the rest, and this year he’ll have five bubbly labels on the market. The Velikanović boutique winery is producing quite an array of crisp and aromatic whites in steel tanks only, and their Muscats often receive awards at international competitions. Drago Kurtalj’s Silvaner is the champion of value-for-money crisp summer whites, and his sparkling wine DRI is not far behind the flagships of Plešivica’s bubblies. So yes, there’s plenty to try and enjoy on top of Plešivica’s tranquil and picturesque hills, where sometimes the only sound you hear is a distant humming of a tractor or a blast from a gas gun for scaring off the birds. All of the wineries have nice and cozy tasting rooms or terraces, and there’s almost always someone’s grandmother in the kitchen, in charge of preparing traditional specialties like copanjak or strudel. And if she’s not around, local homemade charcuterie and cheese is always at hand. As if this was not enough, no tour of Plešivica would be complete without paying a visit to Karlo restaurant, one of the best traditional eateries in central Croatia, and a very wine-friendly place. Morana is one of the founders of Taste of Croatia and is the co-owner of the local tour company, Zagrebites. Wonderful article! I’m visiting Zagreb in a few weeks and would love to spend our last day, a Sunday, touring the wineries. Do you suggest renting a car or signing up for a tour? Sarah, my friend Morana will follow up with you as she does the tours in and around Zagreb but if you’re unfamiliar with the region, it’s not terribly easy to drive in Zagreb (parking is even worse) and the Croatian language requires a translator to help out. While I like to adventure on my own, I think you’ll get more out of a day if you sign up for a wine tour. That and Morana is very knowledgeable and fun.